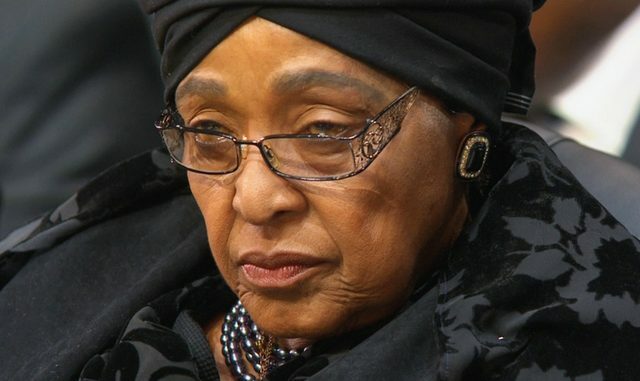 Makerere University is to award veteran South African anti-apartheid campaigner, Winnie Madikizela-Mandela, an Honorary Doctor of Laws during the 68th graduation ceremony later this month. The 81-year-old veteran politician and ex-wife to former President Nelson Mandela is being recognised for her contribution towards the fight and eventual elimination of apartheid in South Africa. Both the University Council and Senate, the top-most academic and administrative organs of the university, have approved the award. Makerere will hold its 68th graduation ceremony from January 16 to 19, the university authorities have confirmed. A total of 15,172 students are expected to graduate this year. Of these, 36 will graduate with PhDs, 436 with Masters and 11,300 with bachelor’s degrees and diplomas. 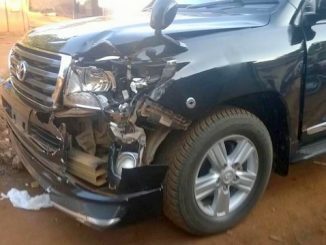 At least 3,400 are from Makerere University Business School (MUBS). 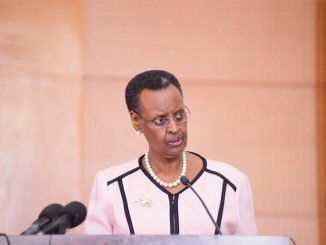 Makerere University had wanted to recognise Winnie in August last year during the Nelson Mandela Commemorative Lecture, but the office of the vice chancellor received information from the South African High Commission in Kampala that she was not able to travel due to ill-health. Instead, it is her granddaughter Zoleka Mandela who attended the event. Winnie was among the activists who kept the anti-apartheid struggle alive from the time her husband and other political activists were jailed in 1964 and remained incarcerated for nearly three decades. Mandela was among the last to be released in 1990, going on to win the first multi-racial elections in 1994. He and Winnie had, however, separated in 1992 and they officially divorced in 1996. Mandela retired from the presidency in 1999 but remained active in public life for another decade until around 2010 when he admitted he needed to rest because of old age. He died in December 2013 aged 95. Makerere University has a fully-fledged Honorary Awards Committee established by Makerere University Statute No. 13 on Honorary Awards Guidelines. The Committee is established jointly by the senate and the Council and is chaired by the Vice Chancellor. In accordance with Section 47 of the University and Other Tertiary Institutions Act 2001, the university may consider conferring an honorary degree upon any person who has excelled in any sector of life as it may deem fit on the recommendation of an Honorary Degrees Committee established jointly by the Senate and the University Council. The honorary degree awards are in three categories: Doctor of Science (DSc.) for academic contribution in the field of science; Doctor of Letters (D. Litt) for contribution in the humanities; and Doctor of Laws (LL.D) for public service by eminent statesmen, administrators and lawyers. Over the years, Makerere University has awarded several individuals honorary degrees for their contributions in various areas. The long list has President Yoweri Museveni honoured in 2010 for his steadfast commitment to promotion of science, expansion of education, governance and security, including contribution to the East African integration, and gender mainstreaming in education and politics. 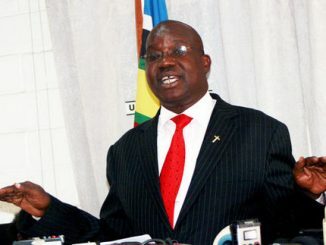 Others are former presidents Julius Nyerere and Benjamin Mkapa of Tanzania, Mwai Kibaki of Kenya – all alumni of Makerere – and former Tanzanian vice president Rashid Kawawa. In 1977, in what many saw as a controversial decision, Makerere University conferred an honorary Doctor of Laws to then President Idi Amin Dada. It’s hard to talk about apartheid, and anti-apartheid struggle in South Africa, without mentioning Winnie Nomzano Madikizela-Mandela. Born in Bizana in the Transkei in 1936, Winnie qualified as a nurse shortly before she met a lawyer named Nelson Mandela in 1957. They got married a year later. However, they were destined to have little time together as Mandela’s political activities kept him away for long periods of time. In Winnie’s own words, while she was married to Nelson, he was also married to the anti-apartheid struggle. He was jailed for life in 1964 and only released in 1990. While he was in prison, she took on an increasingly political role, becoming an international symbol of resistance to apartheid and a rallying point for poor, black Soweto township residents who demanded their freedom. She was in and out of jail herself as part of constant harassment by the South African state. In 1991, after Mandela’s release, Winnie was charged with the assault and kidnapping. She denied the allegations but was found guilty and sentenced to six years imprisonment. This was reduced to a fine by an appeal court. Her split with Mandela in 1996 did little to harm her political standing among poor, black South Africans who saw her as their voice at a time when the ANC had adopted pro-business policies. She is still a force within the ruling ANC party ranks. She recently backed Cyril Ramaphosa in the race for the ANC party leadership.